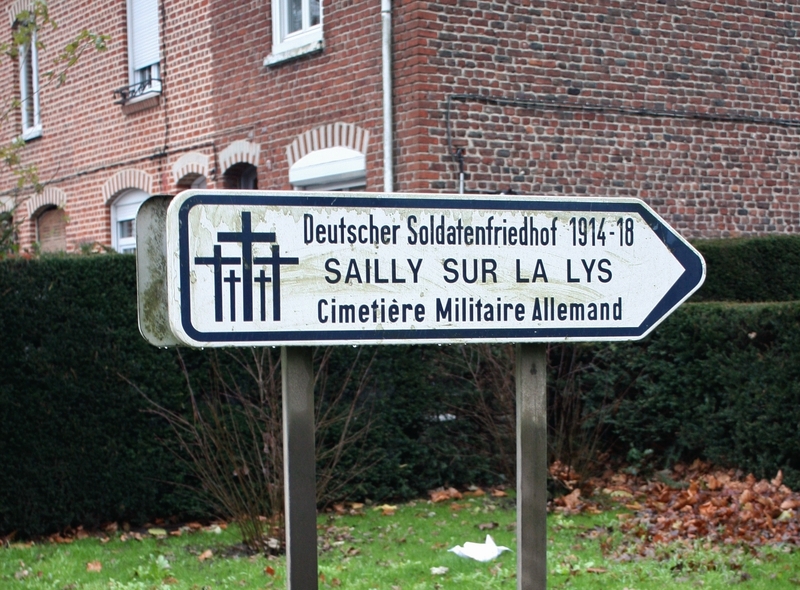 As we follow the course of the River Lys west we enter the town of Sailly-sur-la-Lys, which straggles its way for some distance along the river’s southern bank. 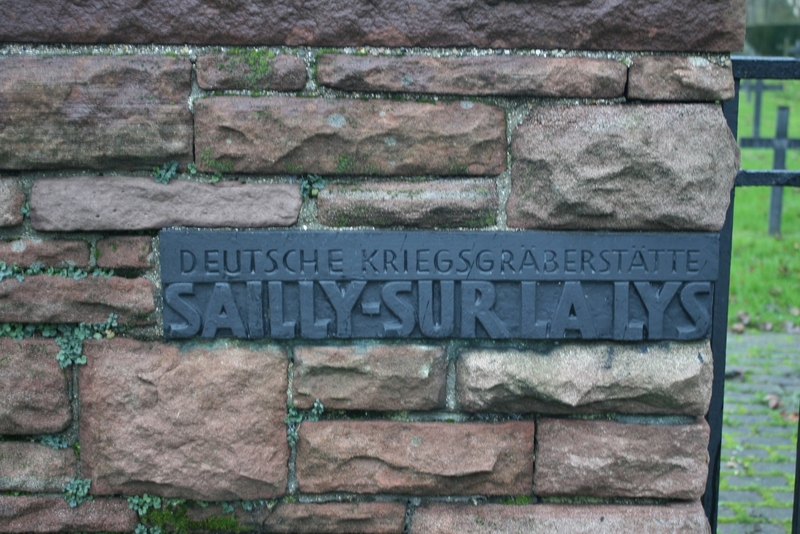 …the first we encounter being Sailly-sur-la-Lys German Military Cemetery. 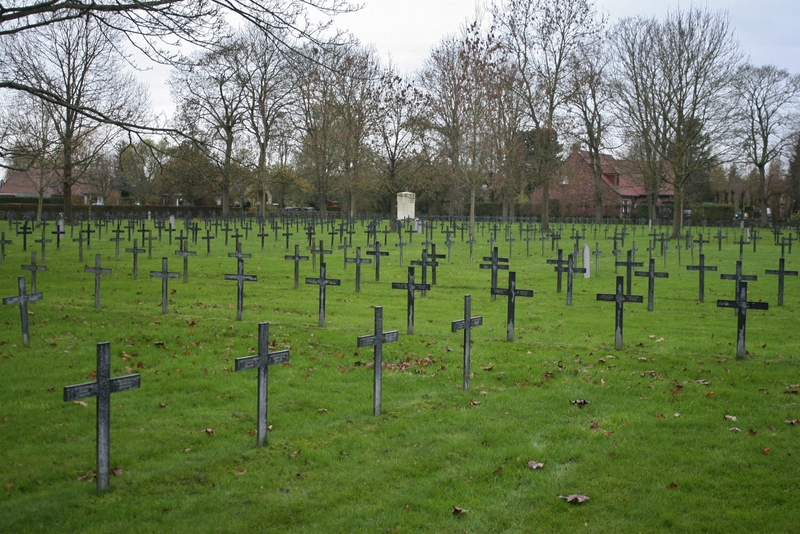 Between you and me, I never know whether to refer to German cemeteries as ‘Military’ cemeteries or ‘War’ cemeteries, which I suppose is more literal, but I have plumped for the former. 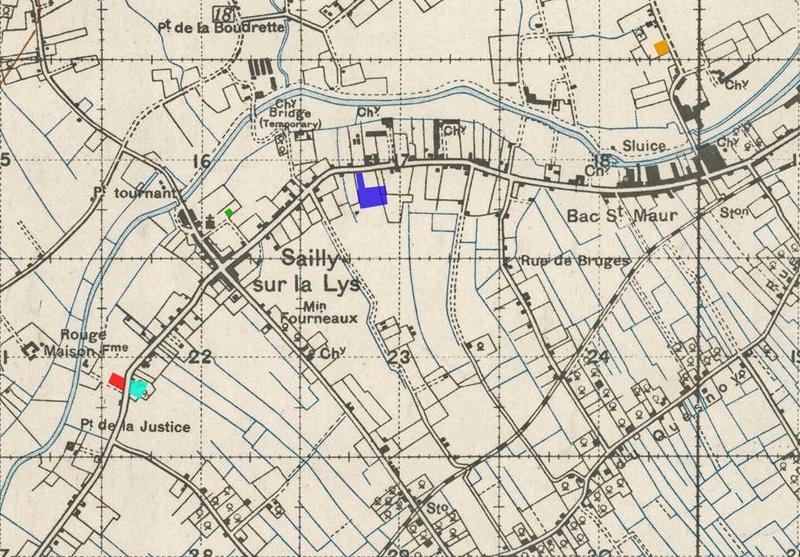 Map of Sailly showing Croix-du-Bac British Cemetery in orange in the top right (last post) and Sailly German Military Cemetery in the centre in dark blue. 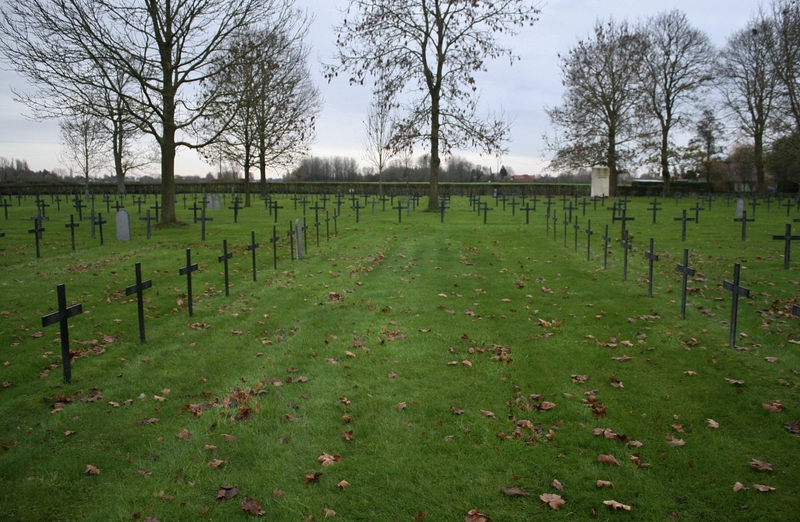 The three cemeteries we shall visit over the next three posts are also marked. 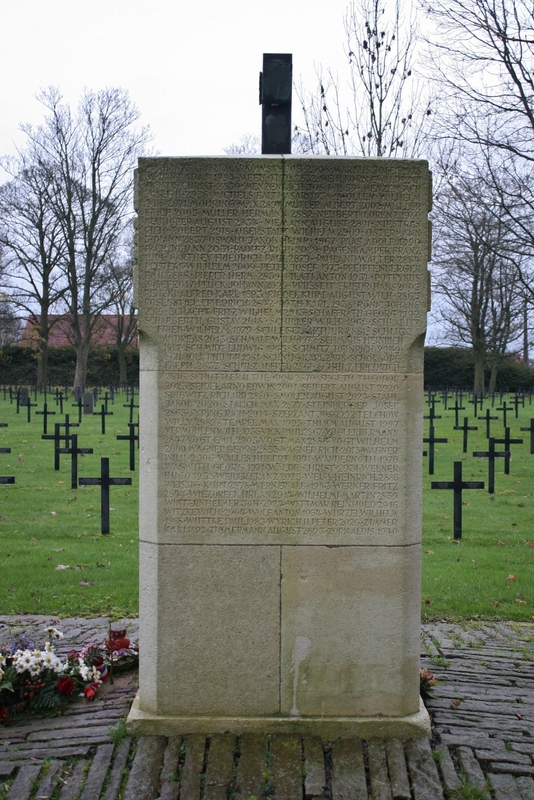 …featuring the signature five crosses of the VDK, the Volksbund Deutsche Kriegsgräberfürsorge, or German war graves agency. 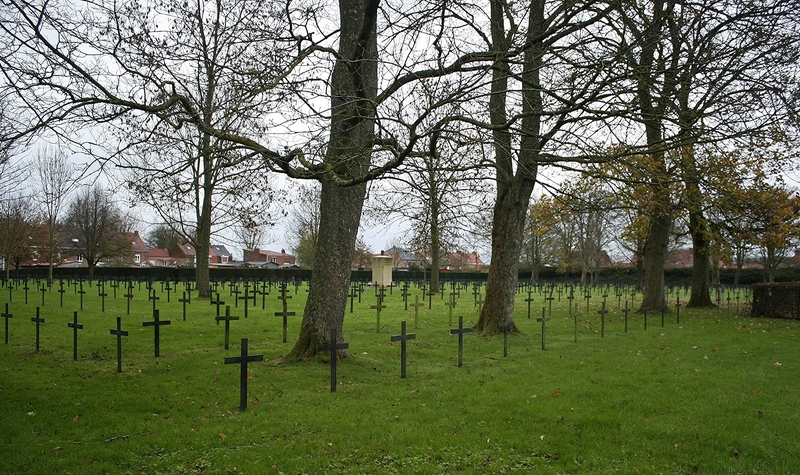 On entering, this burial ground appears to be long and oblong, with an unmarked grass pathway and the line of crosses on the left ushering us towards the southern end of the cemetery in the distance. The map, of course, has already shown you otherwise. 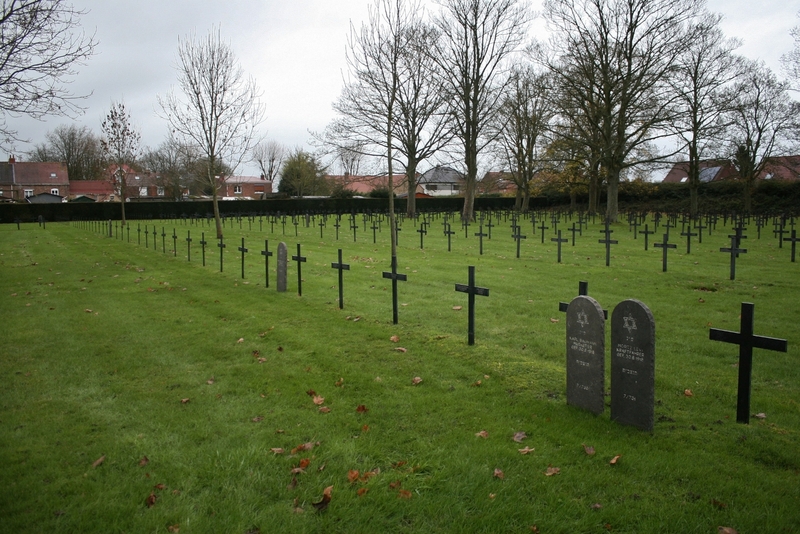 …many of these men buried near the cemetery entrance casualties of the first days of the Battle of the Lys in April 1918, and thus among the earliest burials made here. 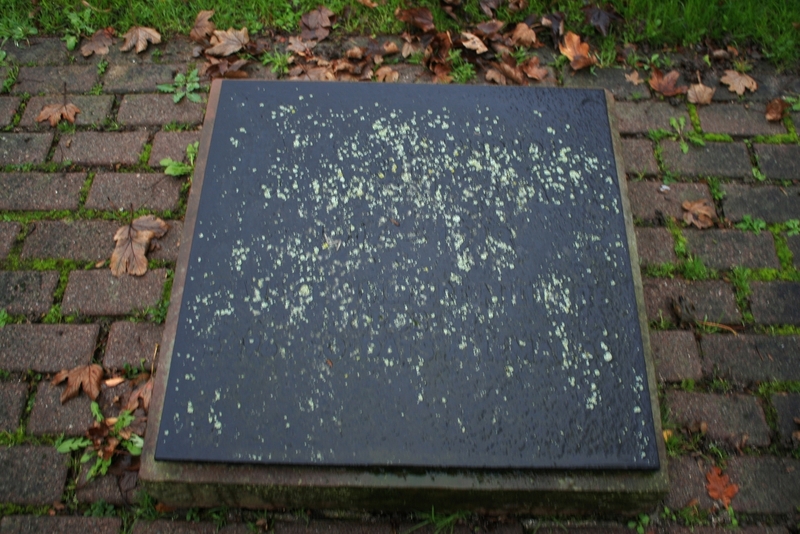 Presumably once upon a time this tablet contained information for the visitor on numbers of casualties buried here. I dare say we will have covered whatever it once said by the end of this post. 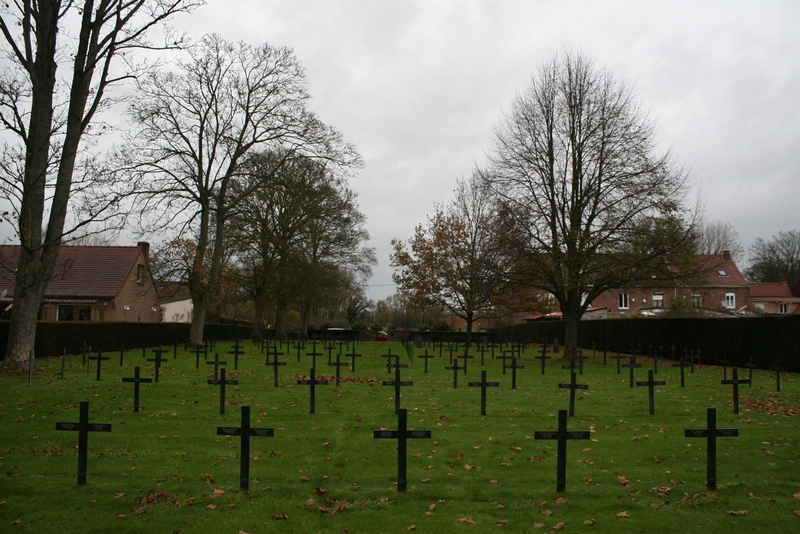 …as the cemetery opens out and becomes, in actuality, far larger than it first appears. …a memorial, it would seem. 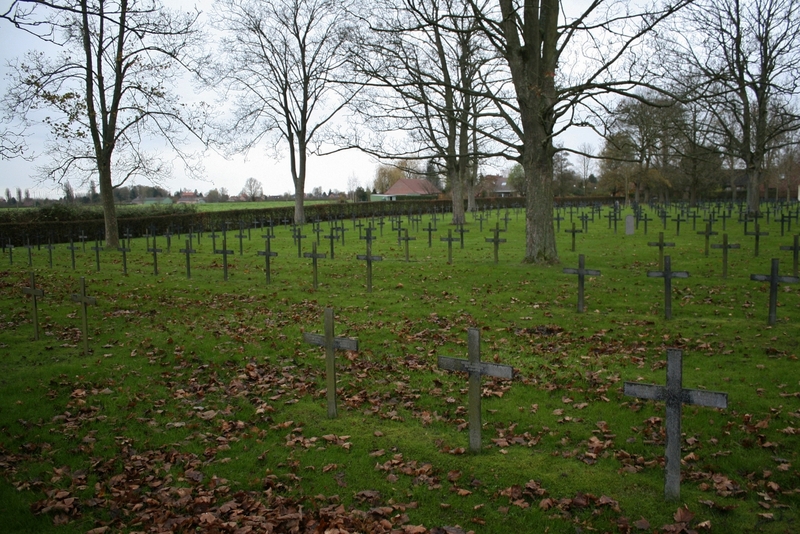 The cemetery was begun by the Germans as they advanced across the Lys, the men buried here being killed locally in April 1918, or during the following months before the German retreat. 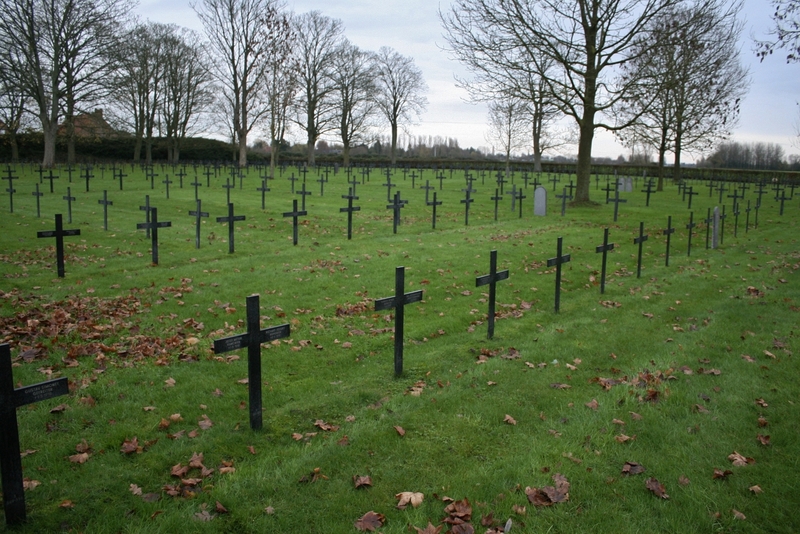 The dead include men whose regiments hailed from Saxony, Silesia, Thuringia, Pomerania, Hesse, Bavaria, Westphalia, West Prussia, Württemberg, the Rhineland and Alsace & Lorraine. 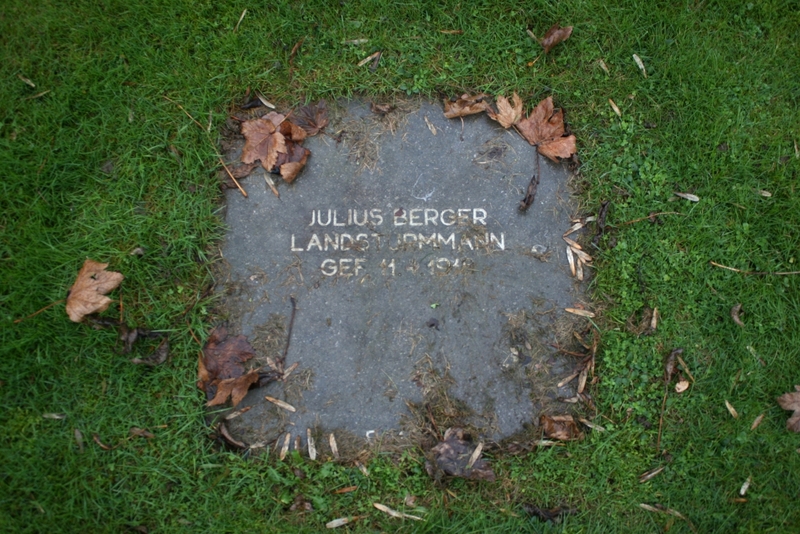 One of twenty seven Jewish burials in the cemetery. 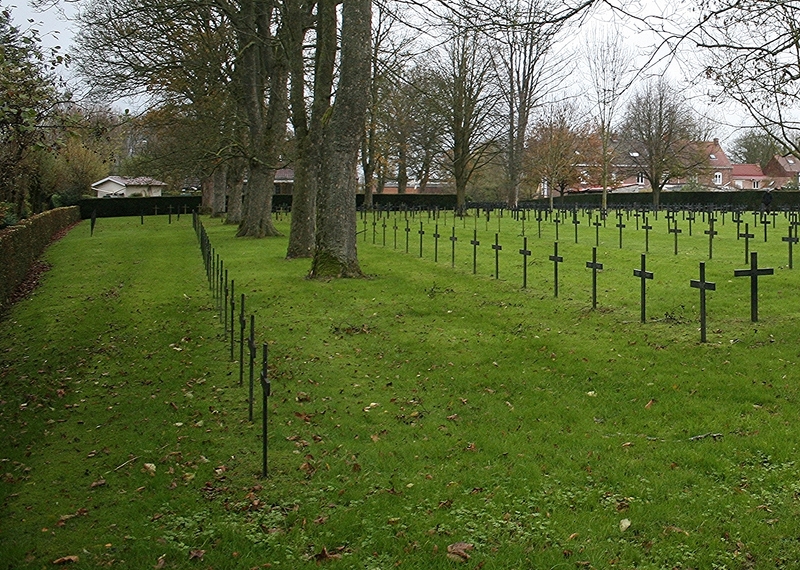 Reconstruction work along the Lys in the immediate post-war years uncovered many more bodies that initially the French, but from 1927 the German VDK, who took over the running of all German cemeteries in France at that time, reinterred here. 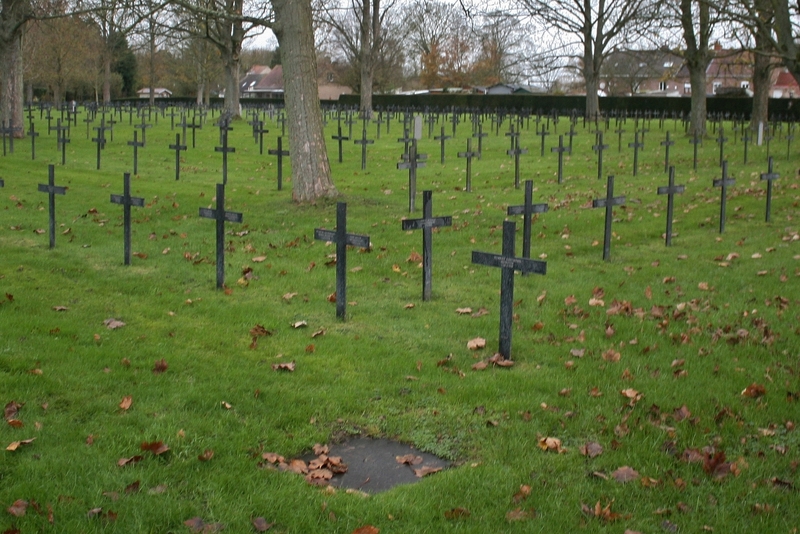 Similarly, post-Second War clearance and rebuilding revealed yet more Great War bodies that were also brought here for reburial. 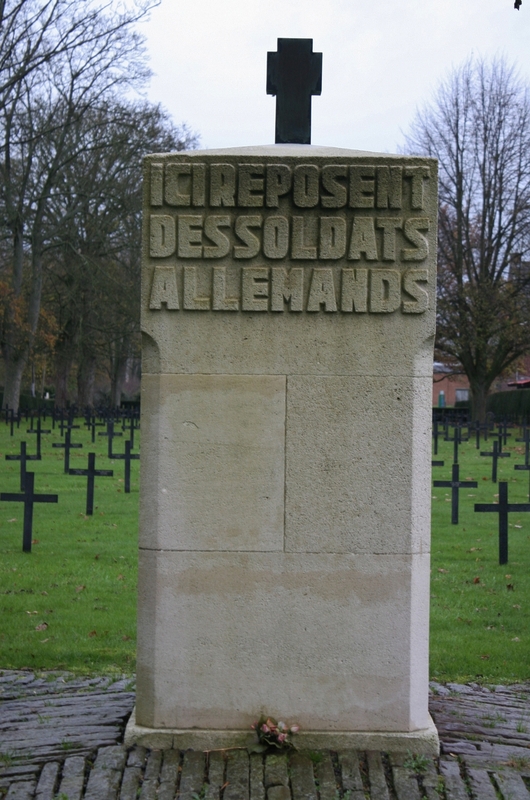 …the names of the missing dead engraved on either side (above & below), was under construction. …which would not have been replaced by the current metal ones until the 1970s. 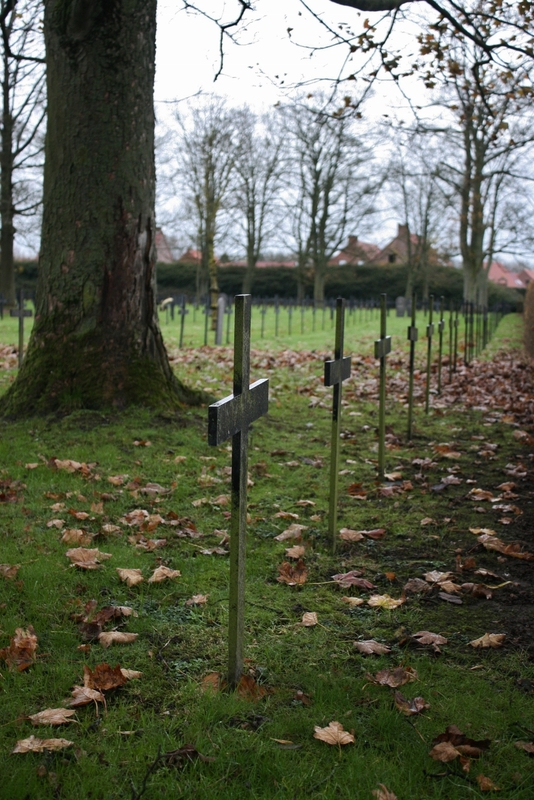 By the time the Second World War halted all renovation work for the next three decades, decisions on how to permanently mark the individual graves in all German overseas military cemeteries had yet to be made. 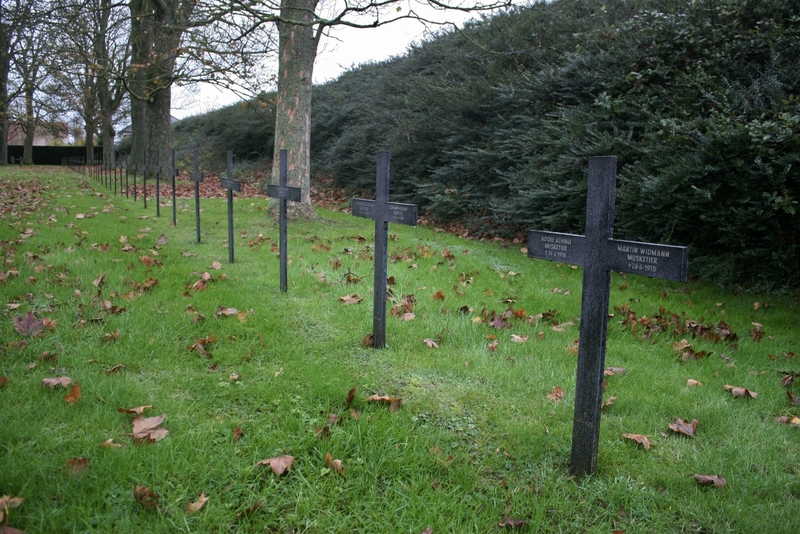 The Franco-German War Graves Agreement of July 1966 allowed the VDK to resume their work, metal crosses beginning to replace the wooden grave markers from 1977 onwards. 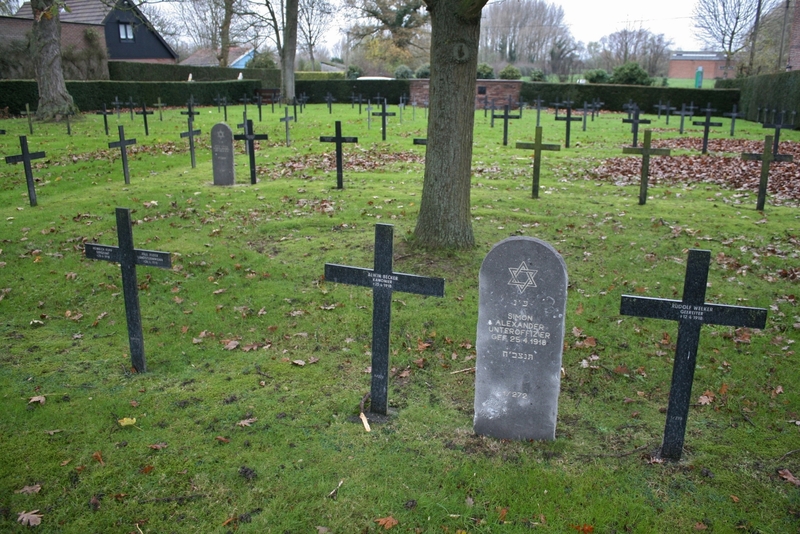 Not that you will find metal crosses in all German cemeteries; I can think of at least four different types of grave marker in different German cemeteries today, although what the criteria might have been for the different types – location, cost, availability etc – I know not. 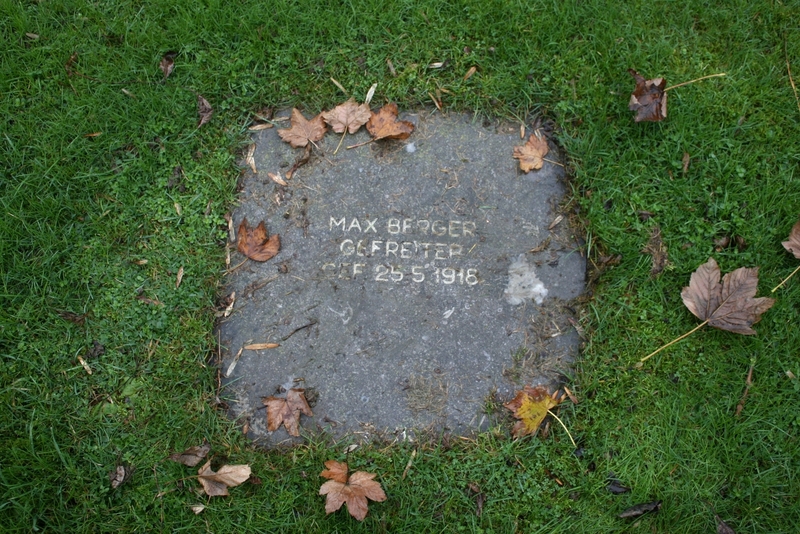 …whereas his namesake Gefreiter Max Berger was killed on 25th May 1918, a month after the official end of the battle. 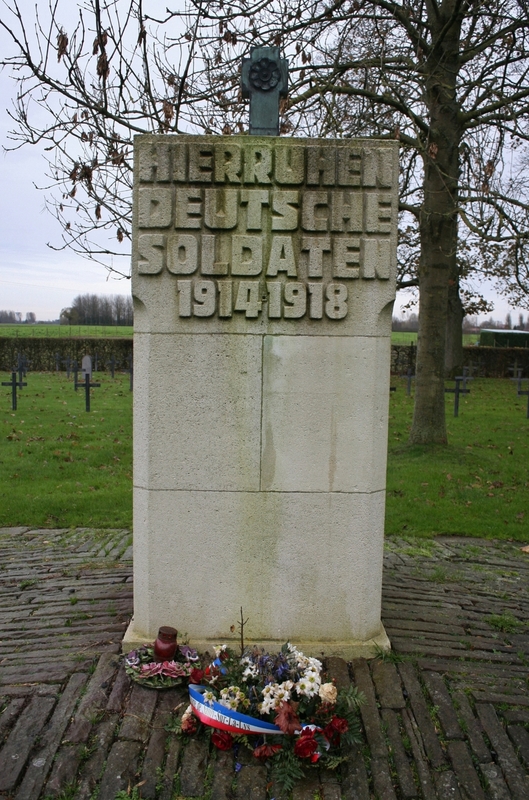 The Germans would continue their Spring Offensive elsewhere over the months following the Battle of the Lys – the next phase, the Third Battle of the Aisne, would begin on 27th May and see the Germans overrun the Allied lines between Soissons and Reims, about sixty miles north east of Paris (the result of a cocky French commander, disdainful of the new defensive methods – we shall come on to them in a minute – and tired British troops hoping for a rest), sending Paris into meltdown as citizens fled and the French government made plans to nip off to Bordeaux again – they didn’t, in the end, on this occasion – but on other fronts fighting continued in its usual day-to-day fashion, and men died each day, as they had been doing for nearly four years. 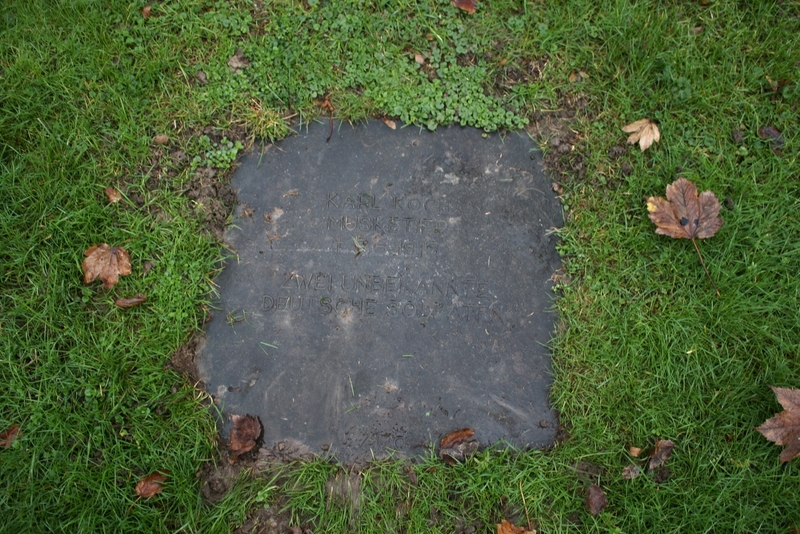 Max was just another of the men on the daily casualty list. …from where this view looks north east. 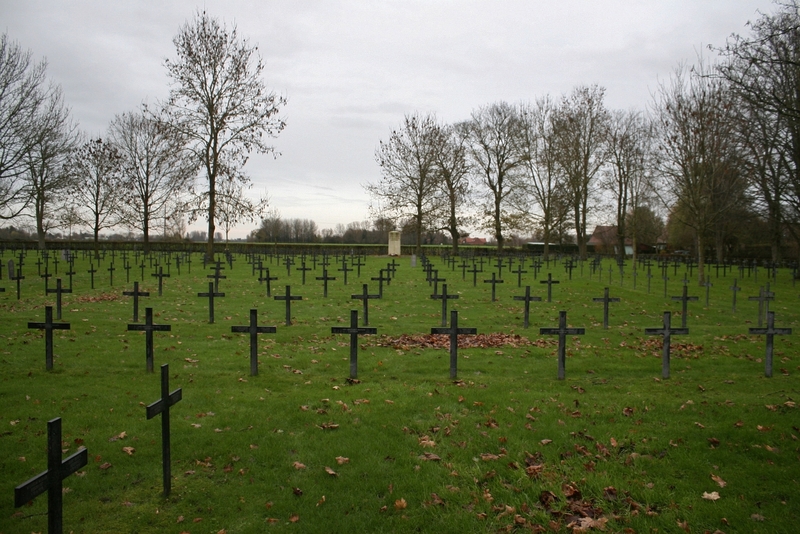 …both men killed on 30th June 1918. 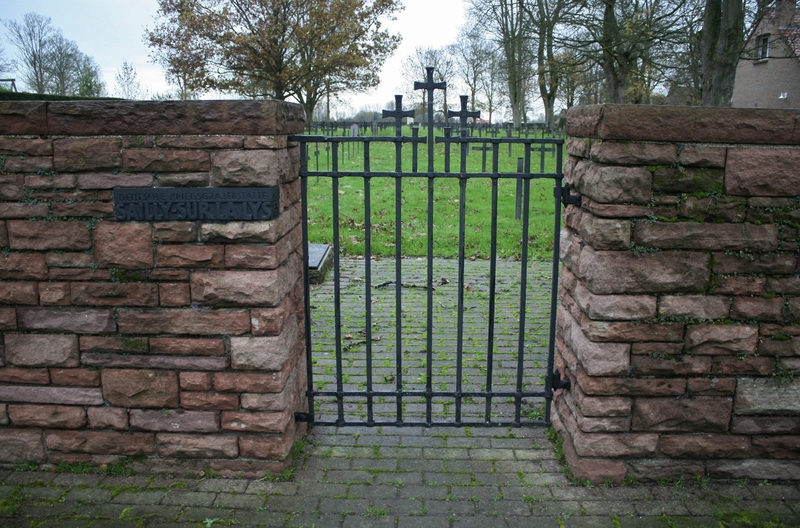 As we are in a German cemetery, perhaps a little of the background behind their 1918 Spring Offensive might be appropriate. 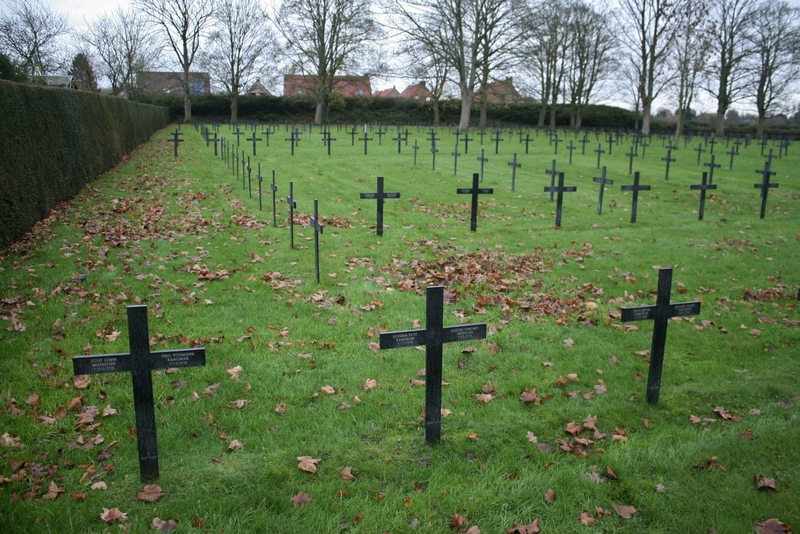 As early as 1917, German High Command knew that by the summer of 1919 they would be facing an entire American army alongside the French & British on the Western Front (not just Americans in effect attached to the Allies, as would be seen in 1918), at which time their chances of victory, or even a negotiated peace, would be gone. The Brest-Litovsk treaty of November 1917, whereby the fighting between Russia & Germany on the Eastern Front was brought to a halt, allowed the Germans to move large quantities of men and material from east to west. 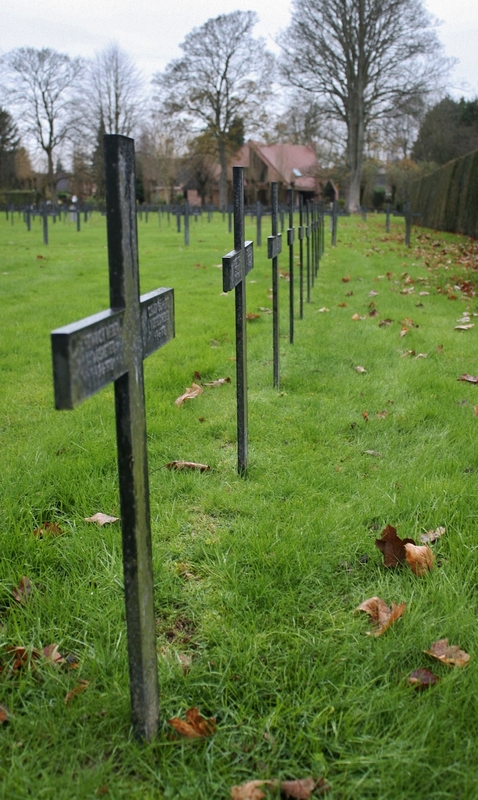 They had to finish the war in 1918, before the Americans arrived in Europe en masse, and it would be the British who would bear the brunt of their planned attack. 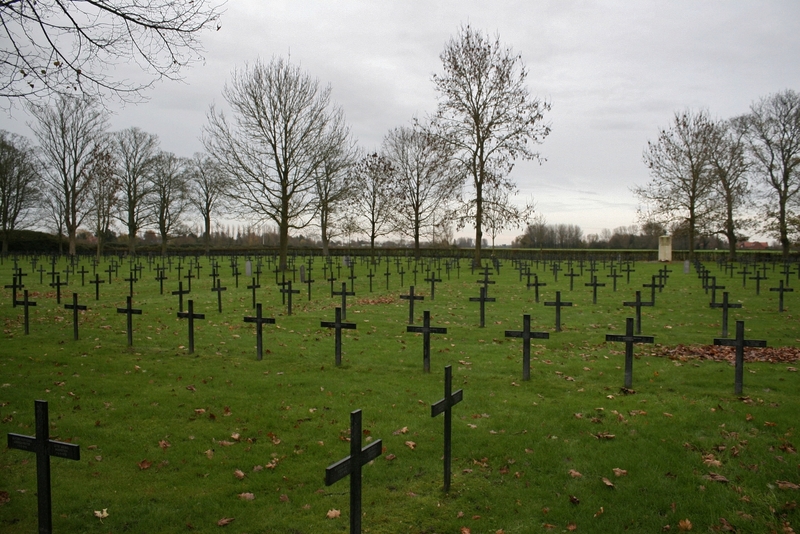 The Germans would attack first on the Somme in March, aiming at taking the city of Amiens and effectively splitting the French and British armies, then at Arras, and then in French Flanders across the Lys and further north, towards Messines. The years of defence beating attack were over, and the Germans knew it. 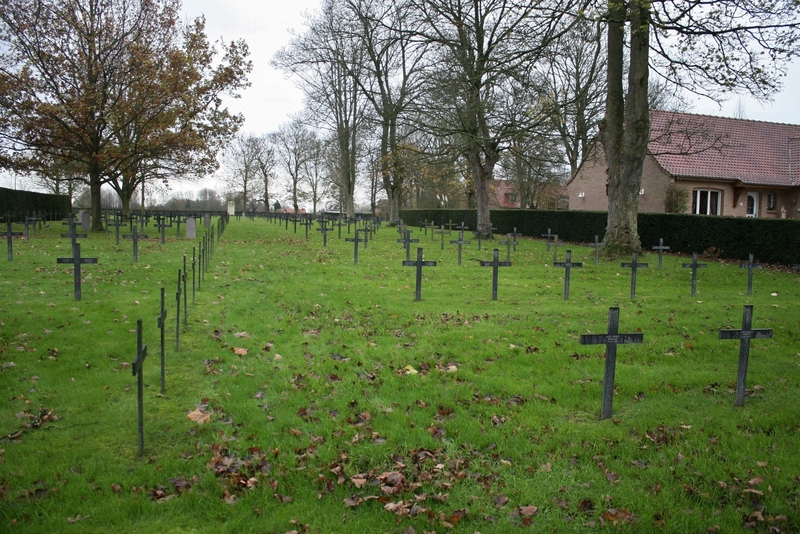 Technological (particularly with regard to artillery and, of course, tanks) and tactical advances had ensured that offense could now expect to overcome a static defence, the Germans already adopting a system of zonal defence as opposed to trench lines to combat this*. 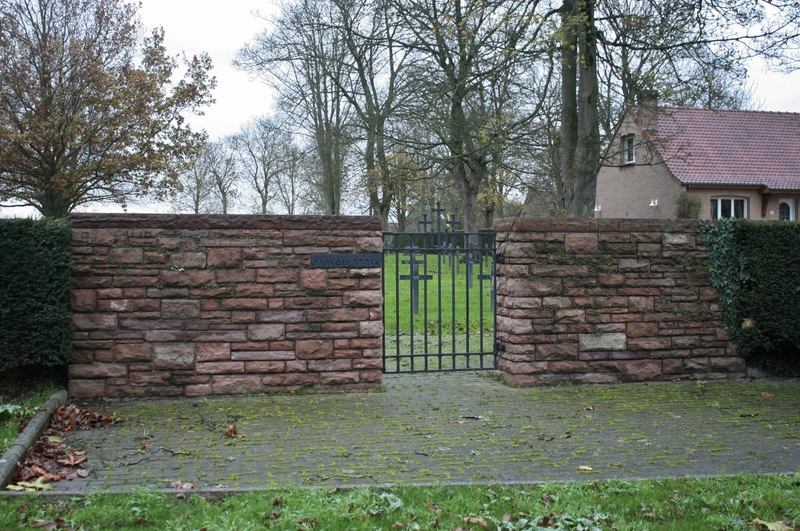 At the time of the attack on the Lys the British were also adopting this new style of zonal defence system, but little had been done to this effect in French Flanders. 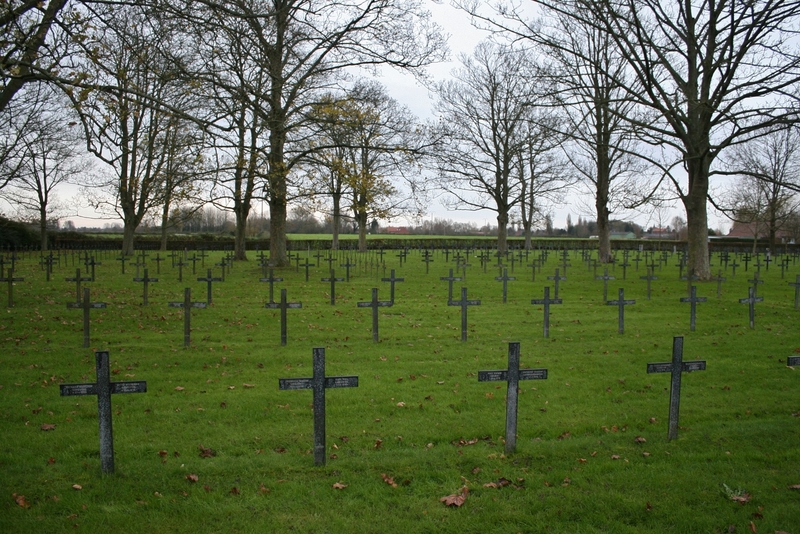 Although generally on the defensive on the Western Front since 1916, the Germans had been practicing the concept of the Sturmtroopen, storm troops, for some time, small, well-armed units charged with rapid infiltration into the enemy lines, by-passing strongpoints to be dealt with by following troops, all coordinated with specific and precisely timed artillery support. 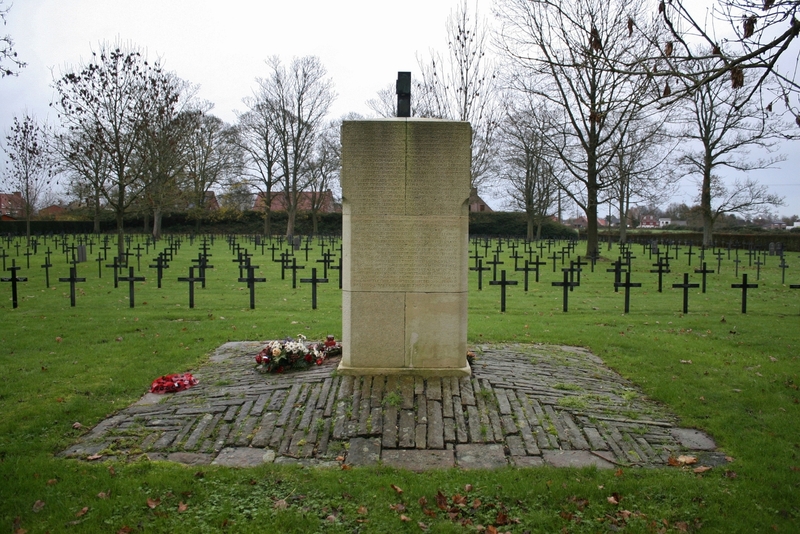 *Bearing in mind they were great bunker-makers, have you ever considered how few German bunkers you come across that were constructed in the winter of 1917-1918? 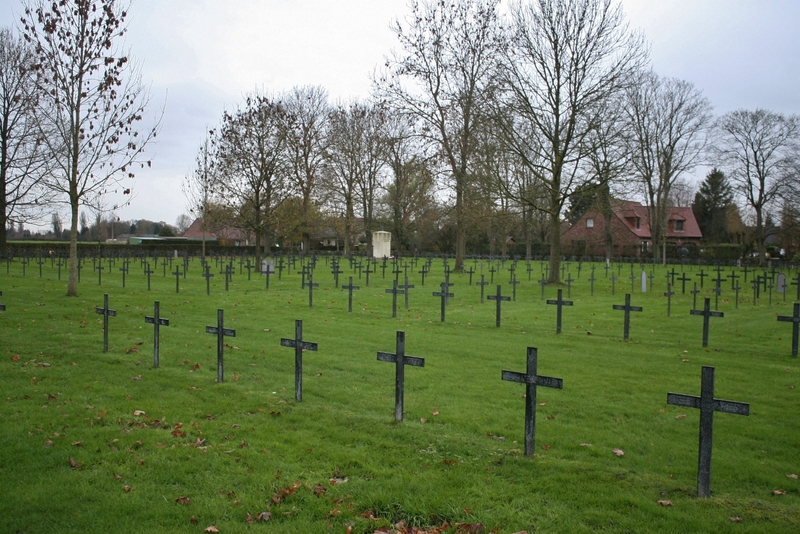 That’s because they pretty-much stopped constructing them after Third Ypres. 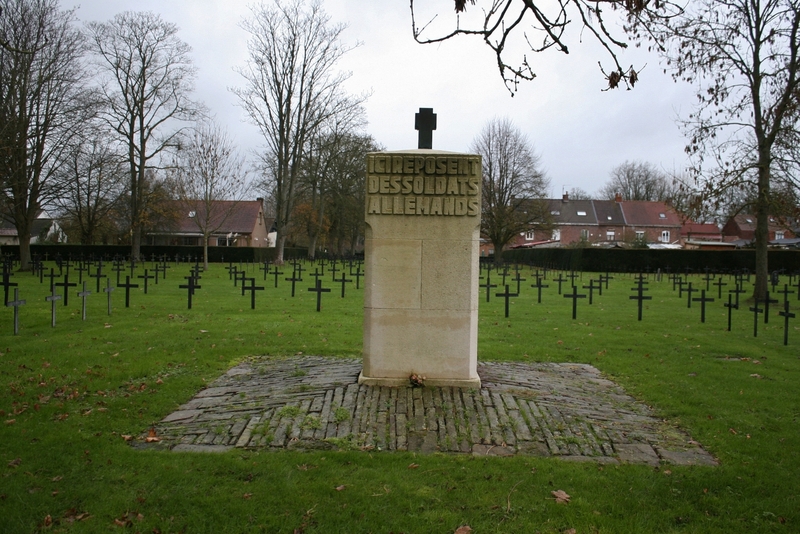 The new defensive zones would also see a proliferation of named ‘posts’ appearing on trench maps in 1918, but for the Germans, defence was really no longer an option. 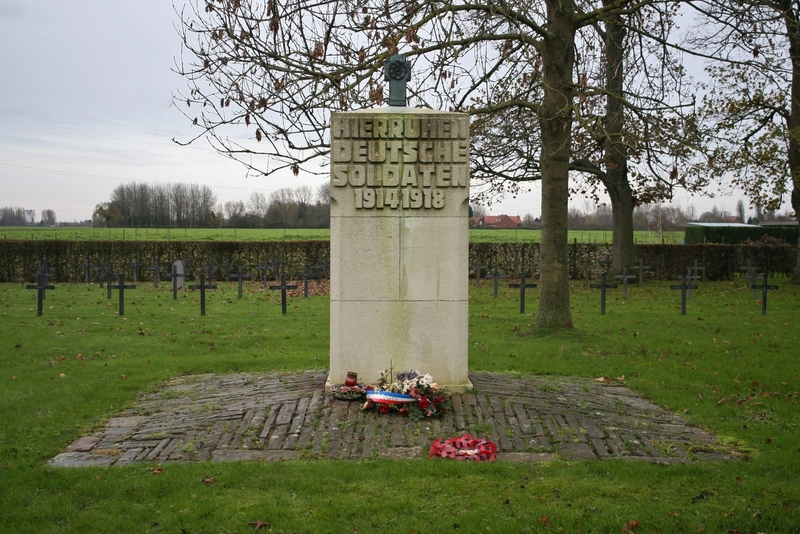 But although the German troops involved included good numbers of experienced men, many of them Eastern Front veterans, the remainder were young or otherwise inexperienced troops (to be fair, not dissimilar to the British troops they were facing, which also, as the Lys battle continued, would include a large number of young conscripts yet to experience battle), all that was left after four years of war, and, unlike the Allies, the Germans had no tanks to speak of, and more importantly, they lacked motorised transport. The German Army thus still relied heavily on horse-drawn transport, and by the spring of 1918 shortages of horses had become acute. The speed of their advance would therefore be limited primarily to the pace of their infantry, but, with both British and French reinforcements on their way, even if they could make a breakthrough, how exactly would they have the means to exploit it? 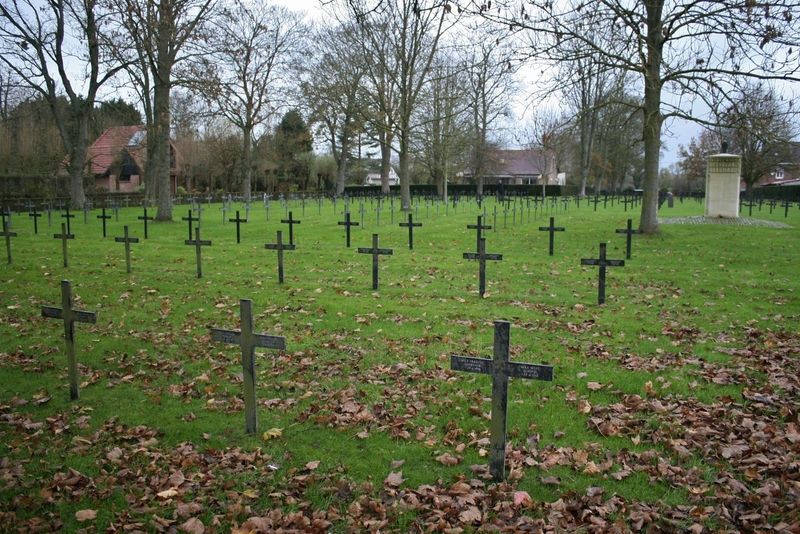 As history shows us, of course, the question would never came to pass, the German failure to achieve a decisive breakthrough on any front during the spring and summer of 1918 leading to the final hundred days and eventual armistice. 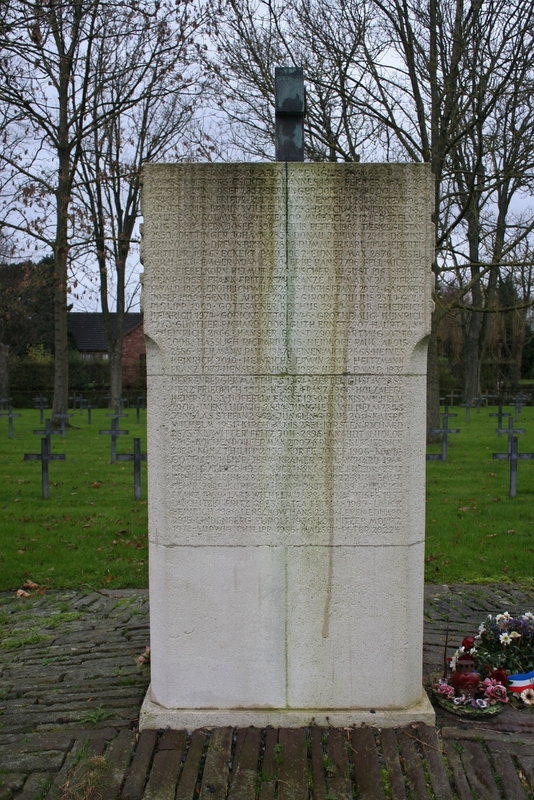 Stone tablet in the cemetery’s south eastern corner marking the graves of two unidentified soldiers, buried alongside Musketier Karl Koch, killed in May 1915. 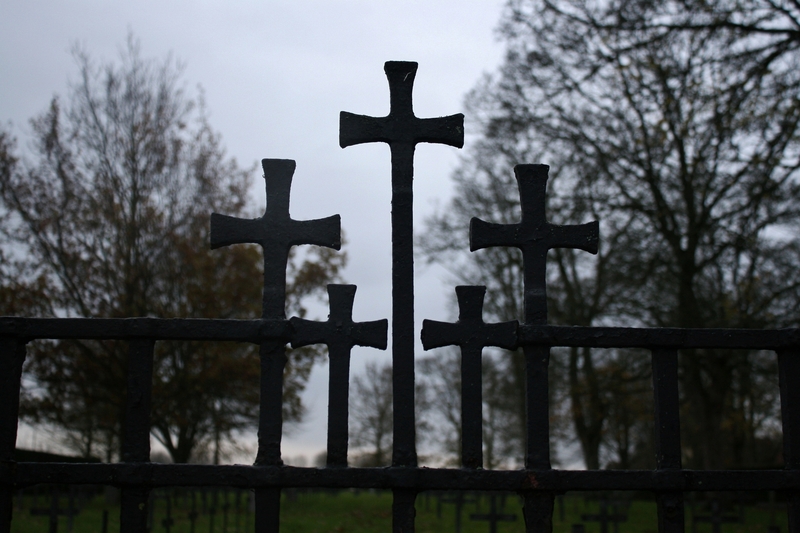 As the cemetery was not begun until April 1918 these three men must be post-war reinterments – they may have been among those found after World War II. 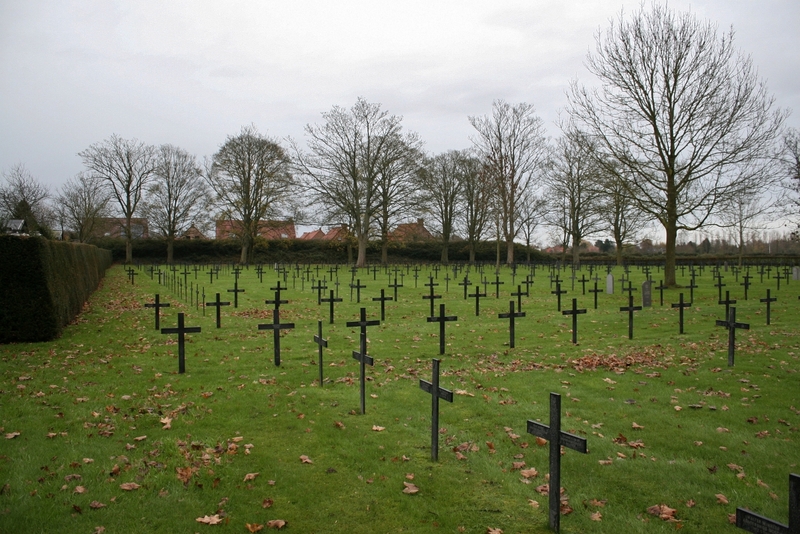 Of the 5,496 men now buried here, 201 have no name. 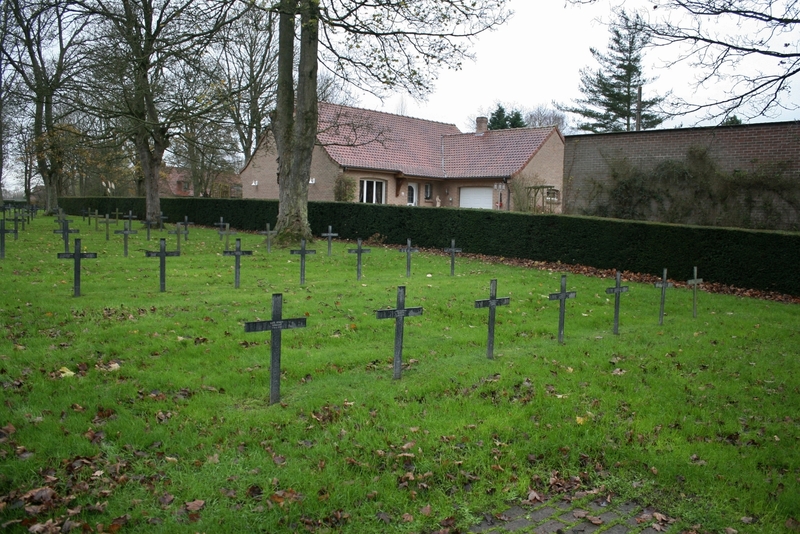 …the graves in the foreground from May 1918. 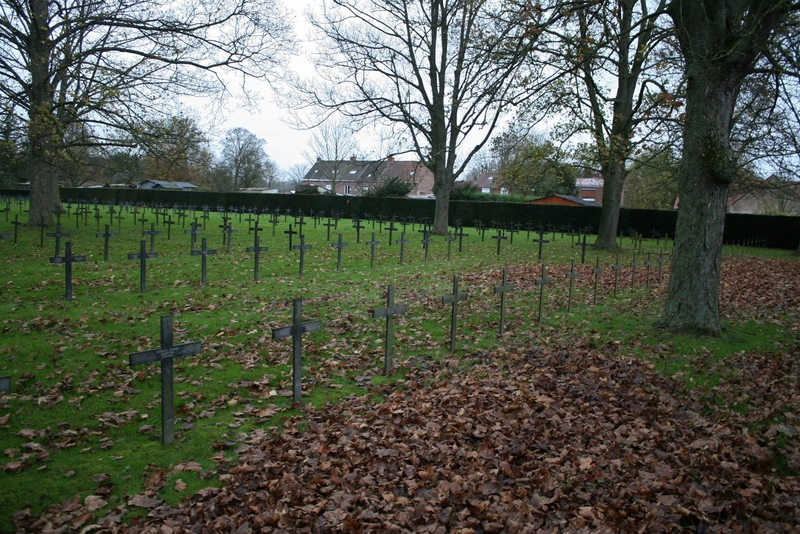 …and now south west, across the cemetery. 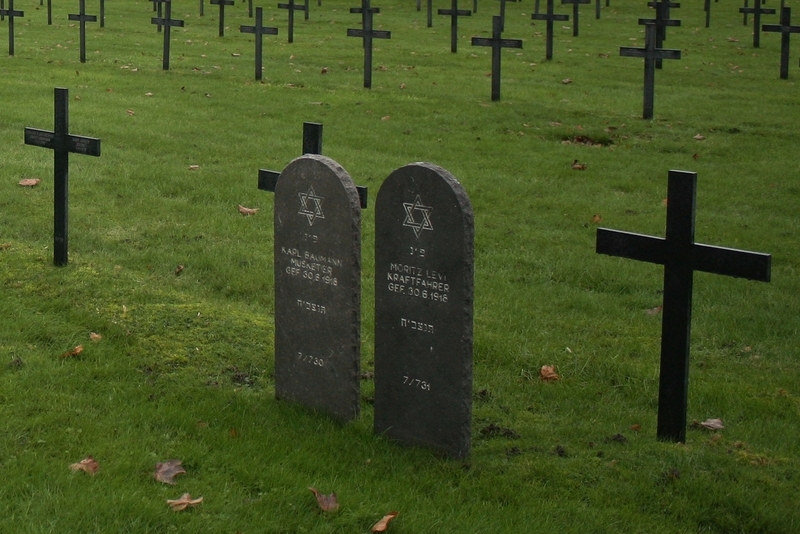 At least eight of the Jewish headstones scattered across the cemetery are visible in this shot. 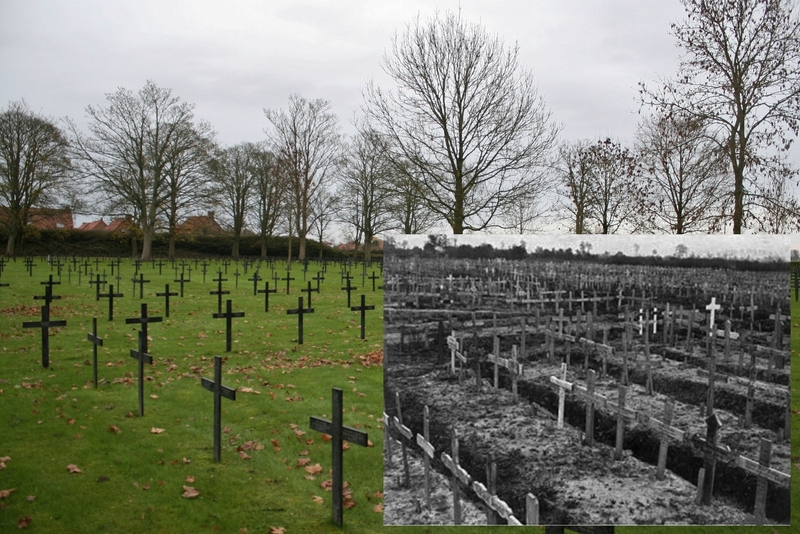 …on the left in this picture, looking back the way we have just come. 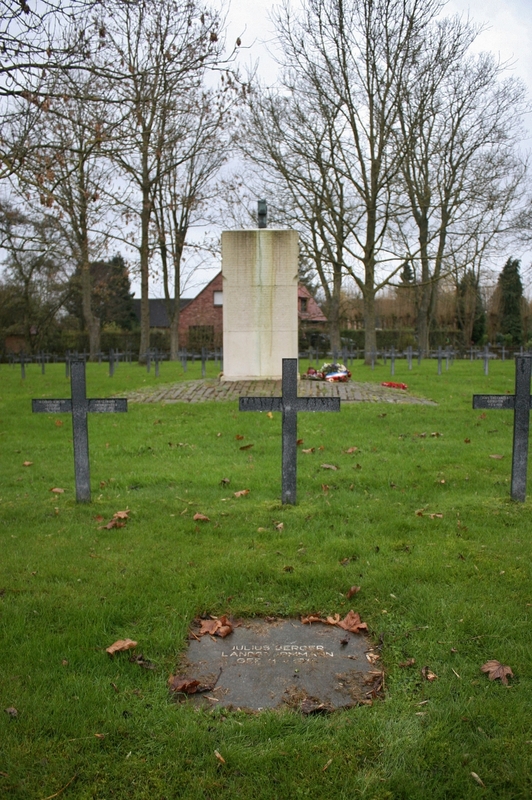 Musketier Josef Lemm, one of the two men named on the cross on the left, is another Battle of the Lys casualty, with a date of death of 11th April 1918. 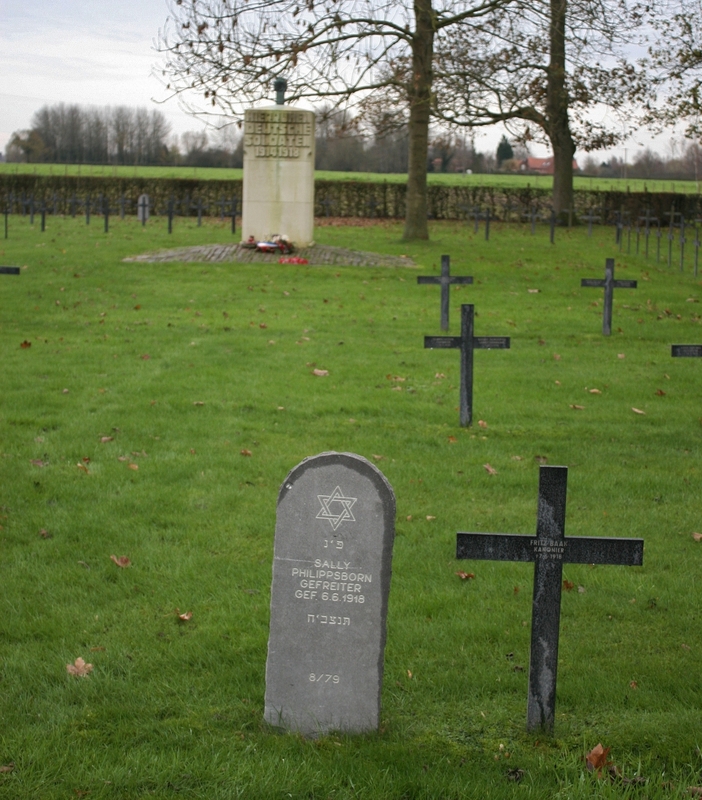 …two more of the Jewish graves visible in this shot, all the men in the front row Battle of the Lys casualties. With which we take our leave. 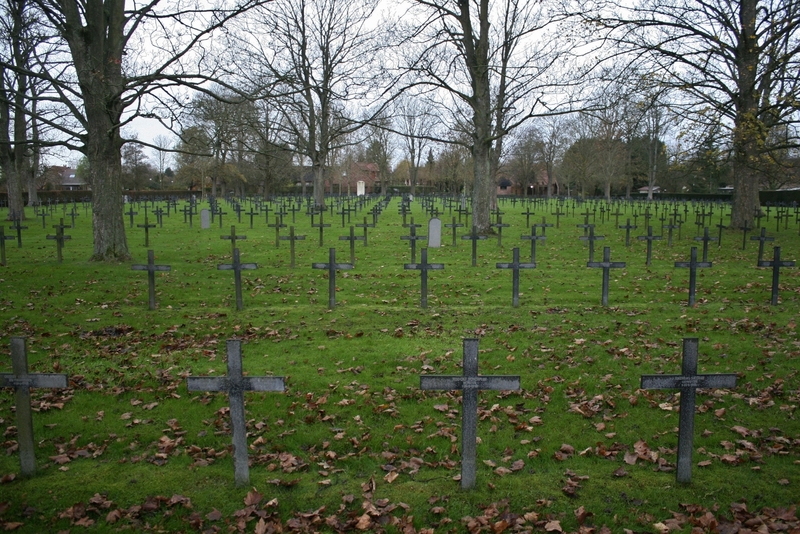 Next stop in Sailly is the churchyard, not so far down the road, and marked in green on the trench map from earlier on. 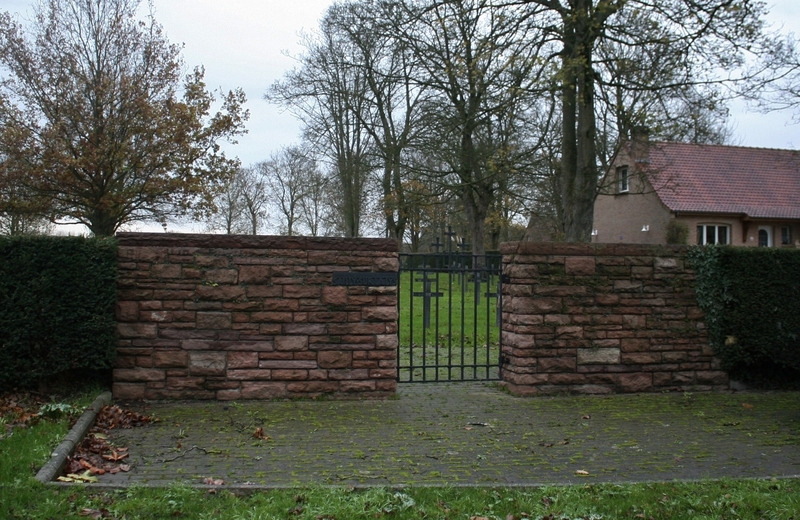 This entry was posted in Armentières to La Gorgue, French Flanders, German Military Cemeteries. Bookmark the permalink. Thankee, kind Sir. 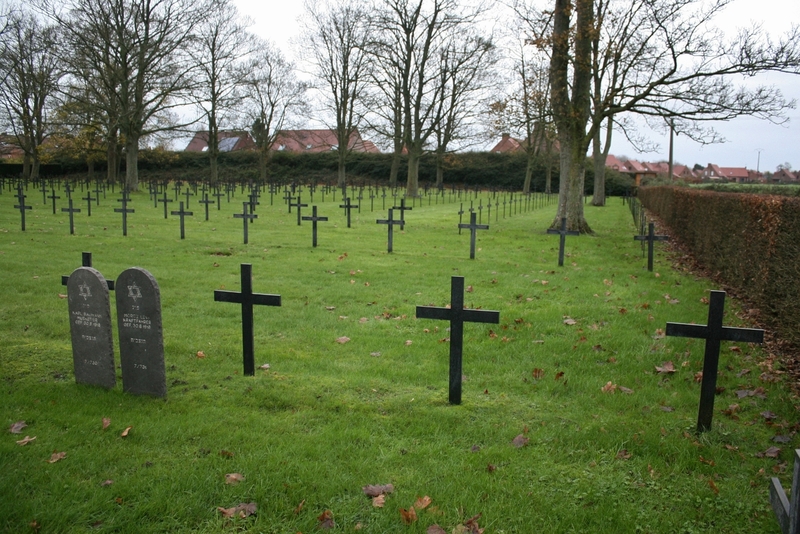 And you are right about the number of identified men – many of course were, I imagine, brought from other smaller German burial grounds, some or many presumably near dressing stations, which will explain to a certain extent the large number of identified men. Indeed, we are no doubt to an extent looking at concentrations, which as you rightly say may account for the high number of known bodies. But as we both know from experience, that is not always as straight forward as one might think ;-). 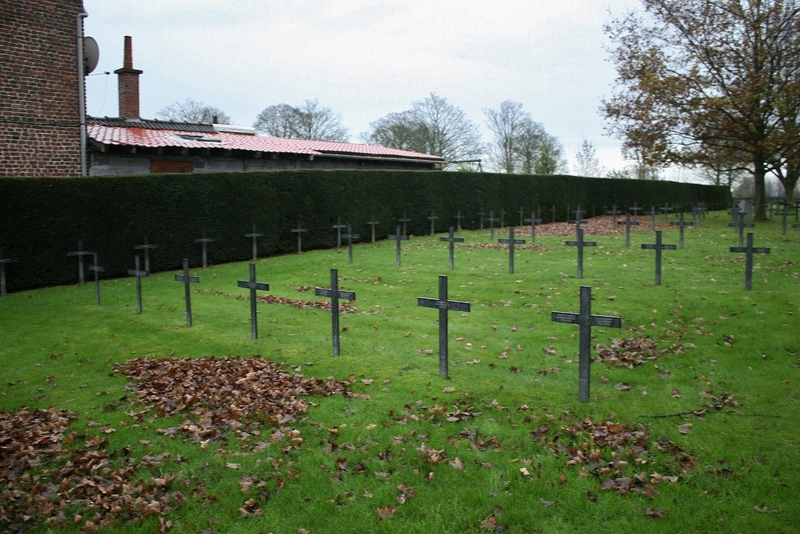 I suspect it also has a lot to do with the Germans having held the ground on which these men died. 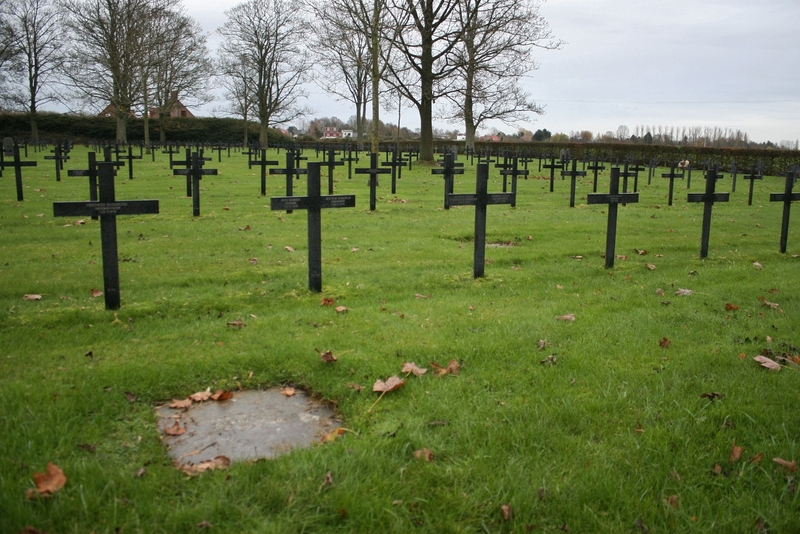 In doing so they were likely able to recover and identify their dead in relatively short order, unlike those killed on the static front line locations of the previous years where recovery might not happen for months. Yep, agreed, absolutely. Off to Scotland in an hour or two; I shall probably tune in once or twice, but basically catch you in a week.